I’ve been sitting here in this hospital for 3 hours, waiting to see a nurse or doctor with this sick baby in my arms. I’m keeping him as comfortable as possible, but I’m not going to lie, I’m nervous. His heart rate is too high. His temperature is scorching hot. He’s sleeping like a rock at the moment, but only after ensuring I wouldn’t throw away his pack of cookies. Four hours pass, still no doctor. One woman in the waiting room says she’s been waiting since 8 a.m., and it’s now 7 p.m. I look over at my friend Gens and we make the decision: let’s get out of here. It’s not an easy decision, as they barely even let me and Gens in the hospital together. “Only one allowed,” the security told us. Since then, I’ve been afraid they’ll make one of us leave. But, leaving is for the best. He needs to see a doctor tonight. As we leave, a woman catches my sleeve. She’s in her mid-40s, slender but strong, white, and French. Her hair is auburn and tumbling down her shoulders in huge spirals, her clothes are nondescript. She asks me where we are going, and I tell her of our dilemma. She explains that she works for a sister organization that partners with the hospital and they’ve had to make severe staff cuts. There is only one doctor available. I talk to her for a few minutes, she takes our little one’s pulse and gets a nurse to write him in on the intake sheet. I ask her for her name, but we are interrupted and she doesn’t get a chance to answer. After talking with a few other people at the hospital, a Haitian man decides to investigate what’s causing the long wait. Turns out, the only doctor on staff is working on a baby with a heart condition and there’s a real chance the baby won’t make it. I hear a nurse telling an orderly to go fetch the doctor to check out the baby in my arms. I catch just enough of her Creole to fully understand what she’s saying. I almost jumped out of my skin! No, no, no, no… you cannot ask her to leave a dying newborn while this 3 year old snores on my chest. I raise my eyebrows at Gens.. he can wait a few more minutes, right? After a while, we see the nurse. Our little one is dehydrated, so she gets him on a oral serum. Gens decides to leave to take a team member who was with us home, as it is getting dark out. Around an hour later our little one becomes incontinent and slightly unresponsive. I’m patting his back, shaking his legs, pinching his arms and still.. nothing. I’m beginning to raise my voice, trying to wake him up and the nurses are unaware. I’m so tired, overwhelmed, and frightened. I cry out in Creole to the nurse across the ward, asking her to help. There is the French woman again, speaking fluent Creole to the nurse on duty. I hear her tell her I’m in need of help, the baby is not responding properly. The nurse comes around and, after a few very long, nerve wracking minutes, everything was fine. She takes my phone and has me call Gens back, “Tell him to turn around, you need him here. They’ll be putting him on an IV soon.” I call him, he’s coming. I turn to thank her, but she’s gone. Where did she go? I must get her name somehow, to properly thank her. An hour later and I find myself lugging an IV bag, a lethargic 3 year old, and all my junk into the small shower at the end of the hall. I’m shaken from the past few hour’s experiences, covered in poop and pee, and trying to figure out how to hold up this little one, wash him, and hold his IV bag simultaneously. Then I hear a voice. I know it is her before I even turn around. She has wipes, two sets of clothing, and a large towel. “I thought you could use some items. You were in a rush to get here huh?” I just stare at her, eyes wide in amazement. Tears fill my eyes and she offers to hold him while I wash my skirt in the sink. 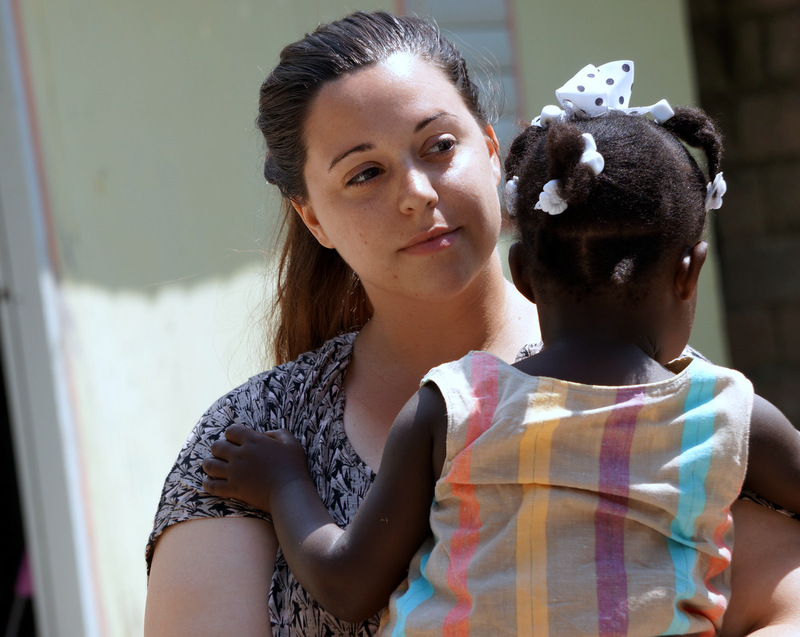 We chat about Haiti, orphanages, and God’s strength in situations like this. Just as I am about to ask her name, my name was called in to see the doctor. It’s the middle of the night and I’m sitting with Gens at the bedside of our little one. She is there, standing in the doorway of the hospital. She whispers, “He’s doing well?” I nod, grateful to see her again. She just smiles and says, “I’m glad.” Then she turns and walks away. Our little one slept by my side through the night, fitfully fighting his fever and sleep. Finally, he slept peacefully. As the sun began to rise he woke up, looked at me, and said, “Betani, where are my cookies?” Praise the Lord for healing. As we left the hospital, I looked for her. I never saw her. I never found out her name. I don’t know who she is or where she came from. Maybe you are reading this, or maybe you were an Angel, I’m not sure. Either way, I just want to say thank you. You got me through one of the toughest nights I’ve had in Haiti. Please continue to share from your life & heart, Bethany. I treasure reading these excepts & am transported back to our glorious week in Haiti serving alongside some of the most passionate of God’s creation. We continue to remember you (& the others) who are laboring for His Kingdom. We love you, pray for you, & long to serve with you again one day. PS I recognized the photo immediately! Faith House International Orphange – sweet baby girls!!! Oh Ms. Holly, thank you. It was such a wonderful week we spent together in Jacmel, I think of it so often, especially of your church and that sweet girl of yours. Thank you for answering God”s call to serve in Haiti and being Jesus with skin on. I glad that You saw Jesus caring for both of you in the hospital that long night. Mrs. Linda!!! I’m so happy to see you here on our blog! Thank you for your awesome encouragement and guidance in my life already, just knowing you short of a month. Beautiful story Bethany. Wish I could have been there to help you ! Gods blessings are prayed daily for you. Love you. Oh Ms. Sam you would have been awesome! I can just imagine you shaking your thang for those babies to get them laughing. Haha! I hope you are well, miss and love you. Thank God for all you do Bethany! My prayers and thoughts have followed you since I met you in Belize. Which by the way sounds like a cake walk to Haiti. Oh Ms. Laury! How long its been! Thank you for your prayers, I need them for sure. Haiti is definitely a whole separate ball game with its language barriers and population crowding. But boy is it rich in blessings and incredible people to live life with. I sure hope you are doing well! Miss you. 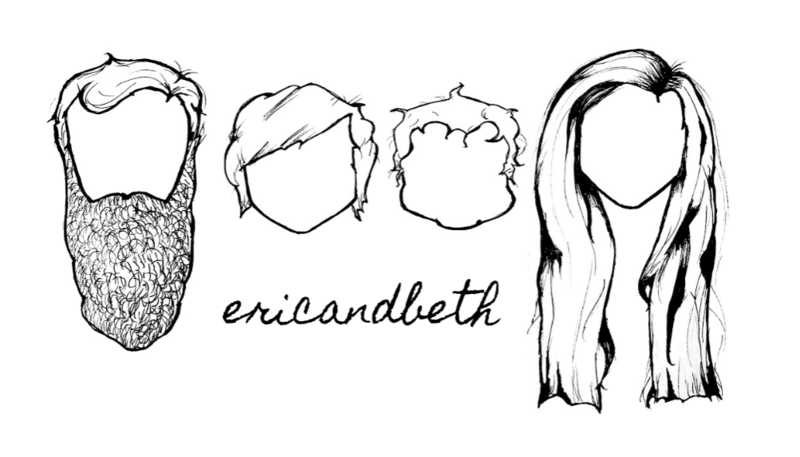 You and Eric are such a gift to God’s kingdom. I love you both. Thanks for sharing these beautiful stories. I love you Mrs. Tina. You’ve always been such a strong Godly example in my life. I love you for that and I never take your example lightly.